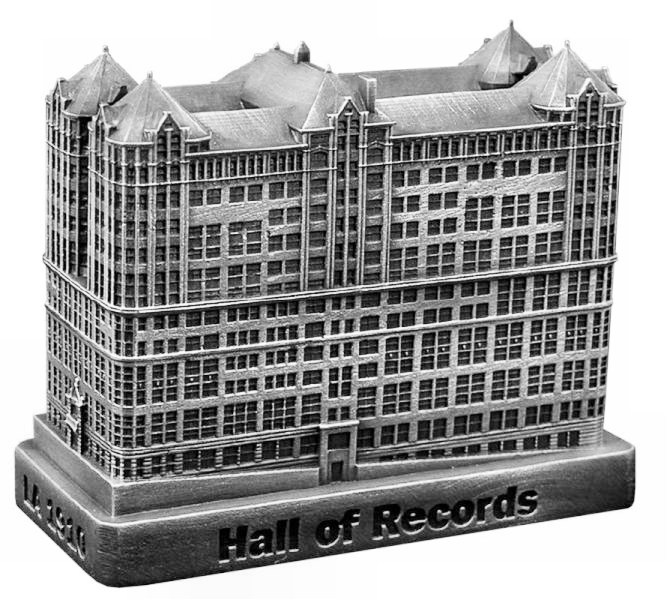 The Hall of Records was located at 200 N. Broadway in Los Angeles, California and was completed in 1910. This building was demolished in 1973 and had 12 floors. This pewter replica stands a little over 2-5/8 inches tall and is finished in antique pewter. This model's scale is 1 inch = 75 feet.